Aitrayee Sarkar ● Kolkata: Saptarshi Prakashan , one of the leading Bengali publishing houses in Kolkata now, has been redefining book-making for last one 16 years. Two young minds Saurav Mukhopadhyay and Swati Roychowdhury had come together with a dream of enabling the vivid book-making industry of College Street, famously called Boipara, to read books the way they wanted to read. At the beginning of 2000 Saptarshi came up with its maiden venture Sumaner Gaan Sumaner Bhasya, a book penned by famous singer and song writer Kabir Suman. Within no time they started to rule the rules of the game thanks to the generous people involved with book-making in Boipara. Soon the cacophony of book-vendors turned into a voice for Saptarshi itself. Now with more than 600 odd titles, including some key publications in English, Saptarshi is showing a new path to the young aspirant publishers. Many still come and seek guidance from Saptarshi authority on how to go about their own ventures. Both Mukhopadhyay and Roychowdhury have been offering impetus to many such young talents. Poets, writers and aspiring publishers often come and spend hours in adda in Saptarshi Prakashan’s office in College Street. Such addas pay dividend with ideas of new book. Saptarshi Prakashan and WPC tie-up from 1 January is outcome of one of such addas only. WPC has been working as the media partner of Saptarshi now, which itself is a privilege. 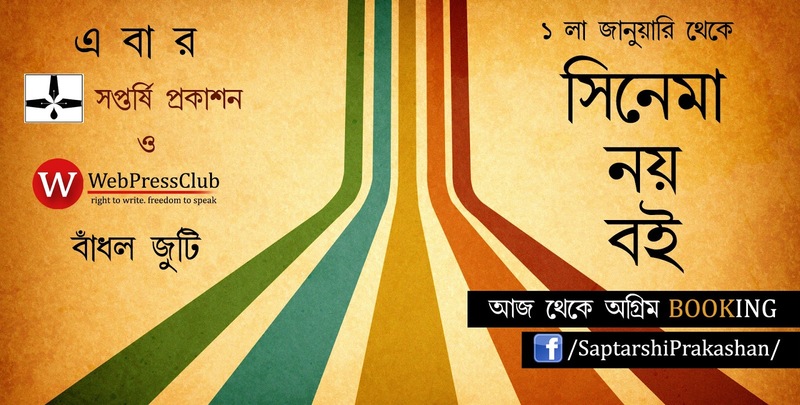 This is perhaps the first long-term media partnership opted by a professional Bengali publishing house in Boipara. It’s a path breaking initiative in that term. 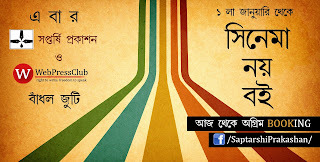 This shows that Saptarshi is yet again opening a new door in Bengali book publishing world. The friendship has begun in a merry way and would continue to prosper in days to come. Together we are specially promoting 12 brand new titles which would surely reach new heights soon.